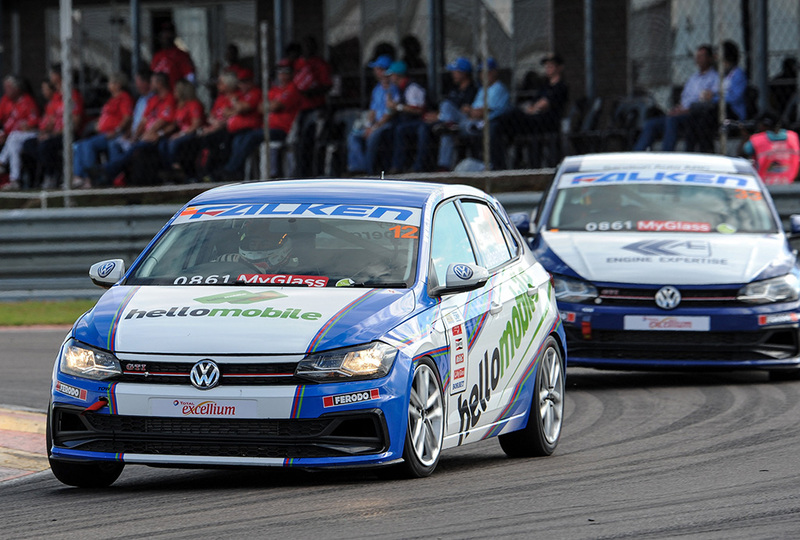 Following the action-packed first round at Dezzi Raceway, the South African 2019 Falken Polo Cup sped into Pretoria and onto the Zwartkops Raceway for the second meeting on 5-6 April and gave defending champion Jeffrey Kruger two race wins out of a possible three victories. 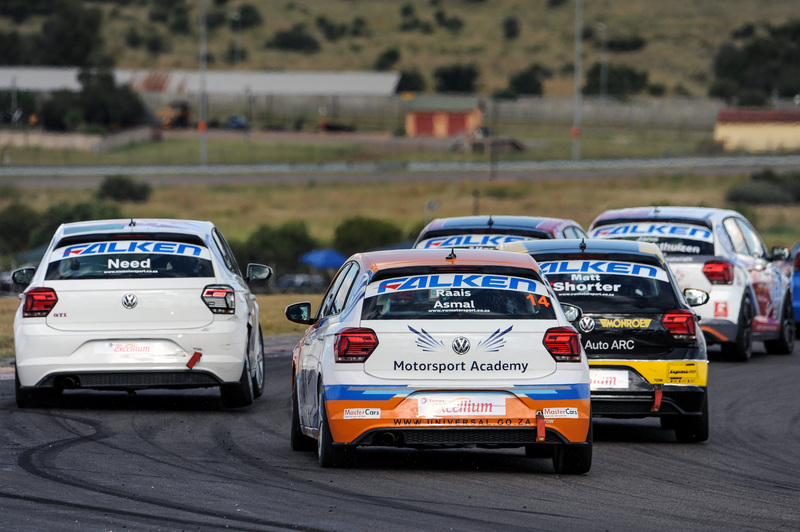 But as with round one, it was a testing time for Volkswagen Motorsport drivers Jonathan Mogotsi and Raais Asmal. Kruger’s near perfect weekend started at the beginning of the first race, when after qualifying fourth fastest, his Universal Healthcare/Comp Care Sport-liveried Polo GTI surged to the front of the 25-strong pack. 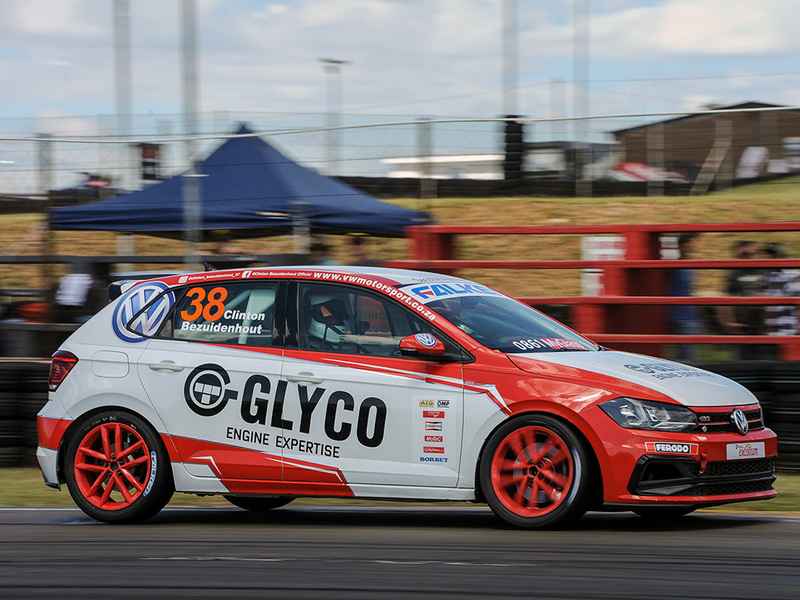 Pole-setter Delon Thompson was swallowed by the field, and further down the ranks, Stiaan Kriel’s and Simon Need’s Polos came together with Kriel’s car rolling several times. Fortunately, there were no injuries thanks to the Polo’s standard inherent strength and high safety levels, and when the chequered flag was waved, Kruger came home first, four seconds ahead of Clinton Bezuidenhout. Bradley Liebenberg rounded out the podium, with Jason and Keegan fourth and fifth respectively. Former Polo Cup champion Chris Shorter was sixth. Race two saw Kruger repeat his pack-leading charge from race one, followed by Jason Campos. The defending champion was unstoppable, though, and Kruger took his second win of the day, two seconds ahead of Campos with Bezuidenhout close behind. Chris Shorter narrowly missed a podium position, with Jonathan Mogotsi and Bradley Liebenberg taking the points for fifth and sixth respectively. The question was, would Kruger make it three out of three? With every intention of scoring a hat-trick, Kruger started the race from second place, thanks to the starting order determined by the second fastest lap time set during the early morning qualifying session. Liebenberg led the pack this time, and the GTC driver successfully fended off a fierce attack from Kruger. When it came to the numbers, just three tenths of a second separated the two with Kruger just missing out on a third successive victory. When the three race times were added up to determine the overall result, it was little surprise that Kruger emerged as the big winner. The current Polo Cup champion was pleased. ‘It was nearly perfect, but we scored some good points today so I’m really happy. The car is one piece and I am now looking forward to Cape Town,’ Kruger said. Bezuidenhout was awarded second overall just ahead of Jason Campos and Bradley Liebenberg, with Keegan Campos taking fifth ahead of Chris Shorter. 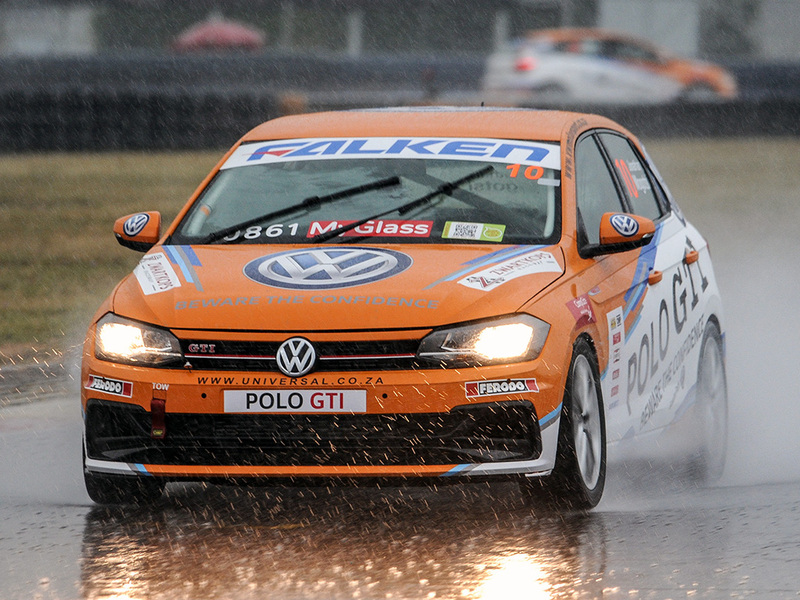 Volkswagen Motorsport’s Jonathan Mogotsi and Raais Asmal endured slightly less fortunate times at Zwartkops. Mogotsi enjoyed a good qualifying session, but a technical infringement forced both him and Asmal to the rear of the grid. This put the pair on the back foot for the entire weekend while a punctured tyre in race two didn’t help Asmal’s cause. The Zwartkops race weekend also saw fuel giant Total announce its involvement with the series. 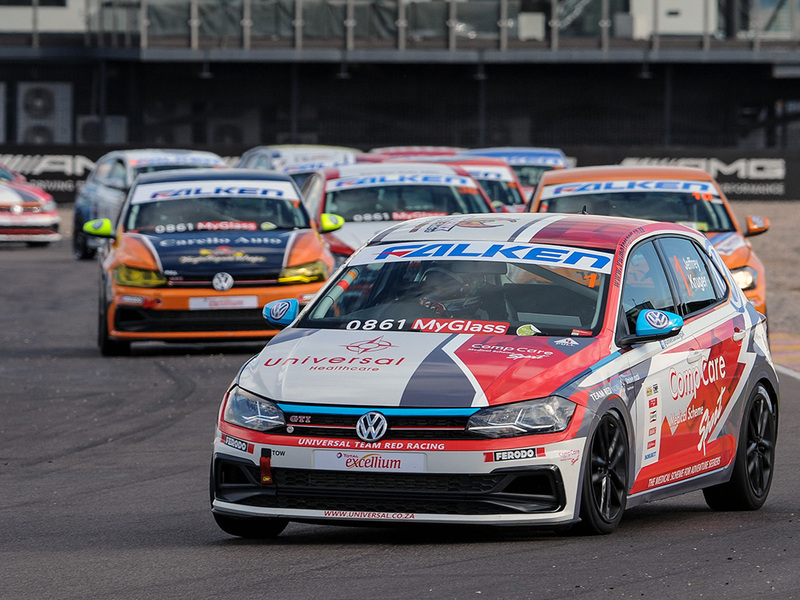 ‘Total has joined the Falken Polo Cup as the official fuel supplier through its Excellium brand for the rest of the season,’ said Mike Rowe, Head of Volkswagen Motorsport South Africa. ‘It is great news and it will help to ensure that the Falken Polo Cup remains such a successful series in the years to come. We would like to welcome Total to our family,’ he enthused. 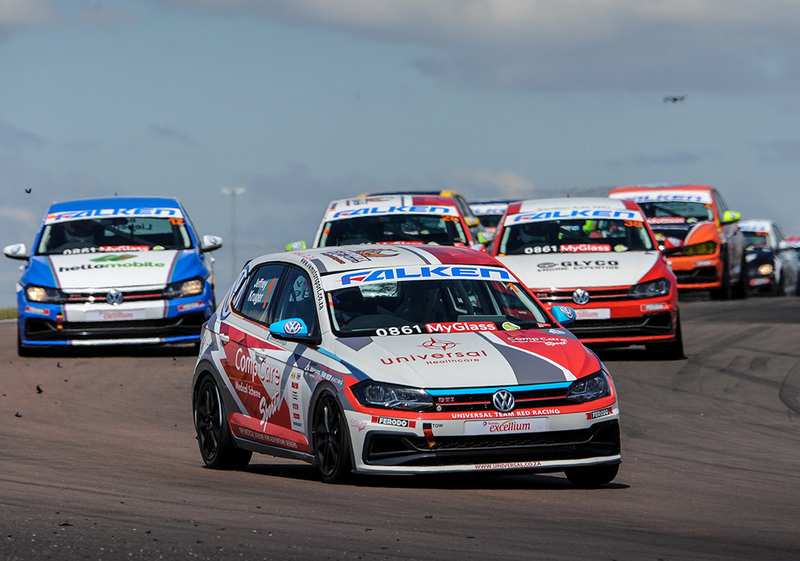 Round three of the 2019 Falken Polo Cup will take place on the weekend of 10-11 May at Cape Town’s fast and furious Killarney circuit.